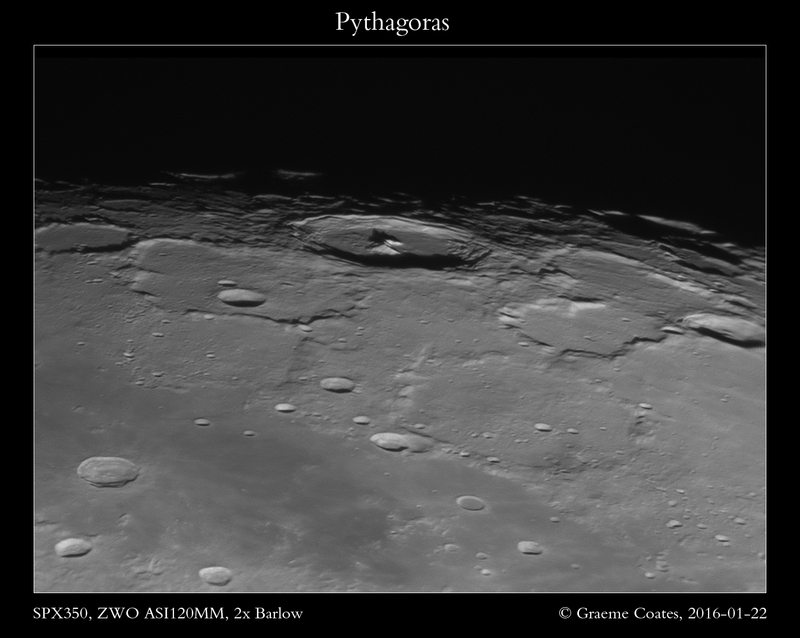 We’ve had some poor weather this winter so far for astronomy, but we’ve had some clearer nights in the last week, but with the moon at a fairly full phase. 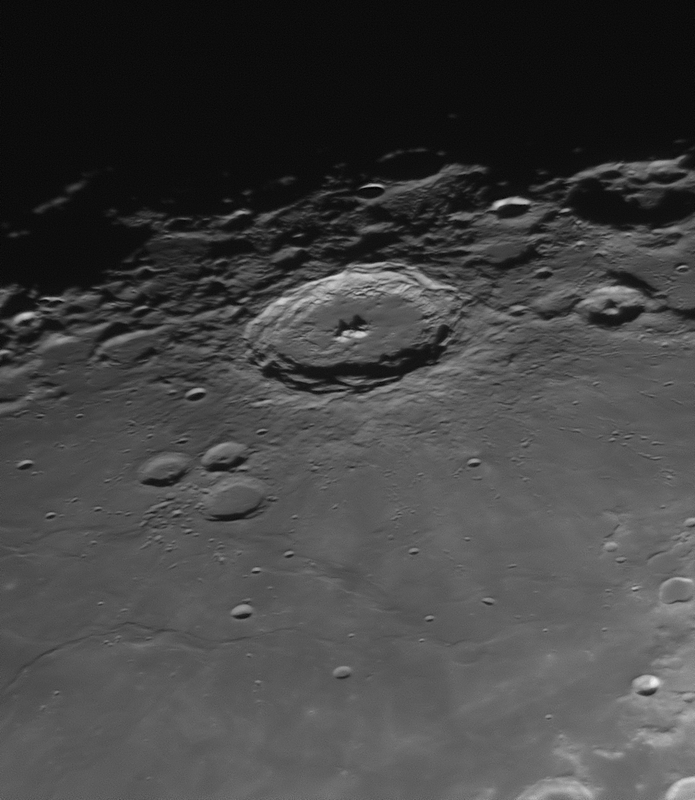 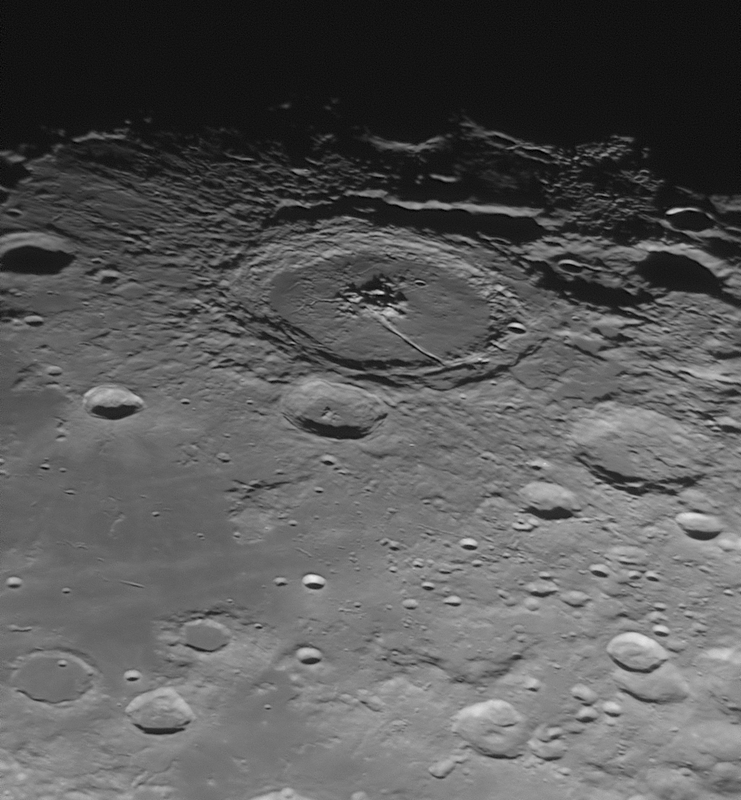 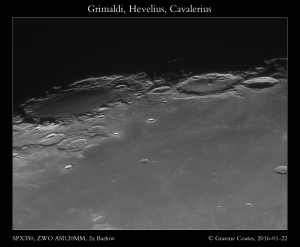 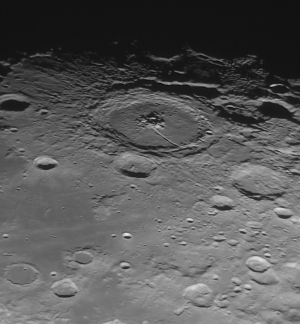 So I’ve been working with the 14″ SPX350 in honing my high resolution lunar work a bit. 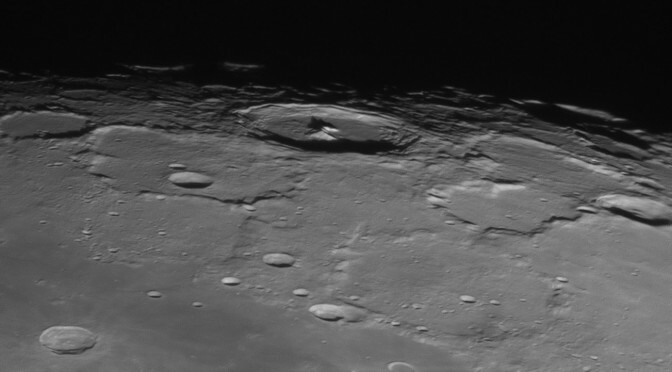 I had two fairly average sessions working with the ZWO camera in unfiltered mode, but suffered a lot from poor seeing (potentially due to thermals from houses I image over) especially with stacks coming out with “ghost craters”. 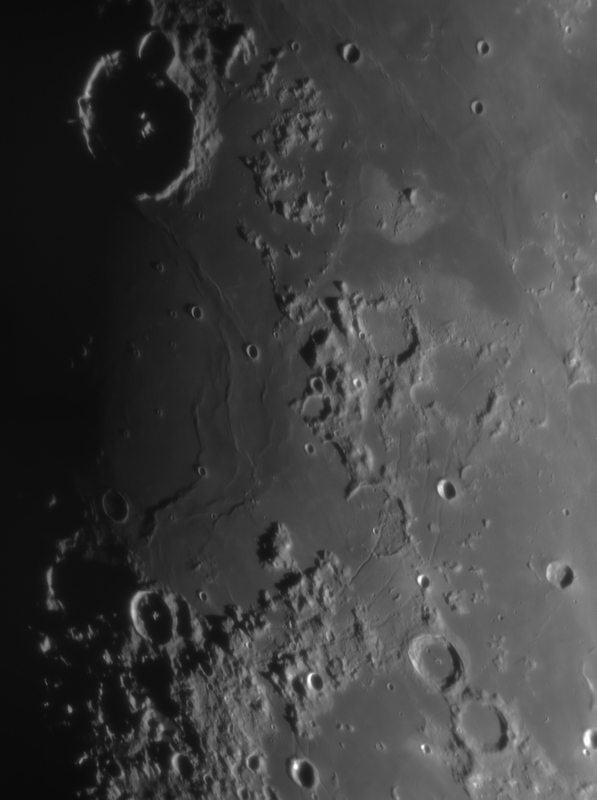 However, for this run of images, I used an Astronomik ProPlanet 742 filter I have just purchased (this is a near IR filter passing wavelengths longer than 742nm). 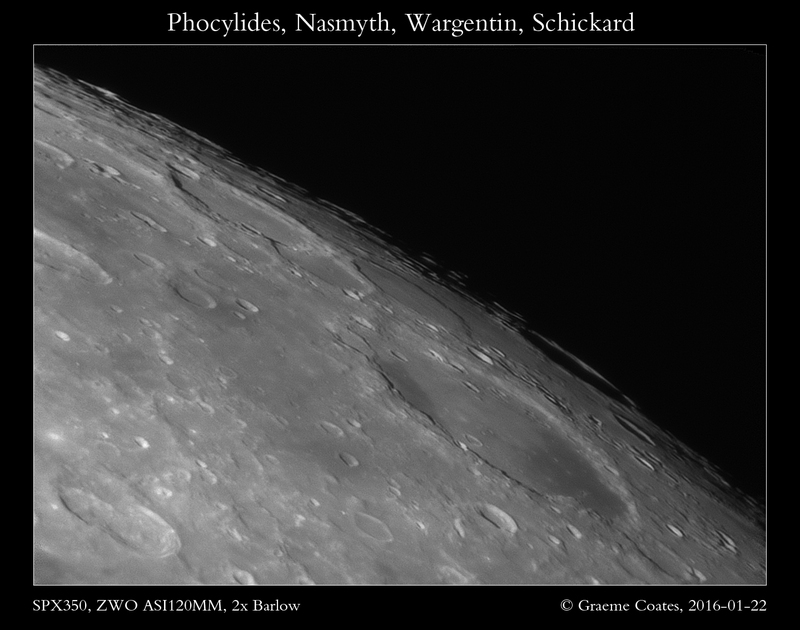 This has given a very good set of results – with three images surpassing the resolution I’d previously been able to get – and working at a focal length around 3200mm too by using a Meade series 4000 barlow lens in front of the camera and filter (giving a resolution of about 0.24″/pixel). Previously, I’ve only got good results at prime focus. 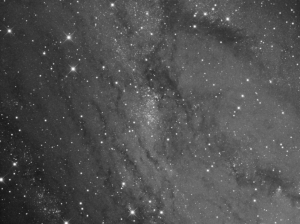 From a first time using it, it certainly appears that this filter does help with larger apertures where seeing is not perfect. Images, while not totally unaffected by seeing, seemed a lot more stable in terms of high speed jitter or double vision on craters. 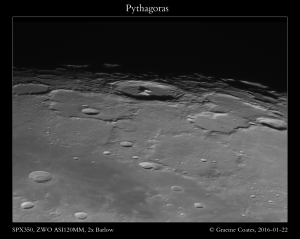 Images were taken around 98% illumination so all the images are from areas around the eastern limb of the moon – with limited targets available and with cloud rapidly rolling in, the session was somewhat curtailed!